Our Mini Trauma Kit comes in four types, each with different items to treat different trauma situations. H & H Pocket Trauma Kits contain emergency first aid devices that quickly and easily respond to all levels of emergency care. Our kits are designed for use in any conditions by anyone to save lives by treating even the most advanced trauma situation. Our Pocket Trauma Kit comes in three types, each with different items to treat different trauma situations. Our wide variety of emergency first ad bandages are designed for quick response in combat first aid situations. Our catalog of bandage and trauma products listed below gives first responders and field personnel the tools they need to save lives! All of our products are made with the highest quality materials and are easy to operate, giving the First Responder the time they need to administer care to the seriously wounded. This 6" wide, all-in-one device consolidates multiple first-aid devices such as a primary dressing, pressure applicator, secondary dressing, and a foolproof closure apparatus to secure the bandage in place. This internationally patented and FDA approved bandage is the ideal solution for emergency treatment when every second counts. Pad Size: 5.25 x 6.5"
Packaged Size: 8 x 5"
Cinch Tight is designed for all types of emergency trauma, from serious contusions and fractures to severe bleeding, applied one-handed and used as a compression bandage, sling or a simple elastic wrap. Thin Cinch is a special variant of the Cinch Tight compression bandage. Featuring a slim 4” x 10” ABD pad, it is vacuum sealed flat for ease of storage and use in virtually any scenario involving emergency trauma. H&H priMed Gauze is deployed in open wounds to absorb blood and cover the wound from contamination. It is vacuum packed small for easy storage and simple use. The H-Bandage is an upgrade to the H and H Cinch Tight compression bandage, capable of not only serving as a compression bandage but also as a hemostat for arterial bleeding in limbs. It can be applied with one hand for use as a compression bandage, sling, simple elastic wrap, and hemostat dressing. 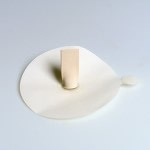 Big Cinch abdominal dressing combines the versatility of our other bandages with a large, nonabsorbent pad, providing immediate emergency care to serious abdominal trauma. For the individual in front line combat environments, immediate first aid is more than just a necessity: It could mean the difference between life and death. Severe injuries in such inaccessible areas creates the need for trauma care which can be administered quickly, easily and effectively. TK-4L (Tourni-Kwik 4L) improves on the design of the TK-4 with stronger design. 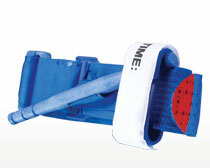 for use on wider parts of the body, including leg and arm injuries. The C-A-T® utilizes a durable windlass system with a free-moving internal band providing true circumferential pressure to the extremity. Once adequately tightened, bleeding will cease and the windlass is locked into place. A Hook and Loop strap is then applied, securing the windlass to maintain pressure during casualty evacuation. The C-A-T®'s unique dual securing system avoids the use of screws and clips which can become difficult to operate under survival stress or where fine motor skills are compromised. The Bolin Chest Seal advances care for sucking chest wounds. The BCS is a sterile occlusive chest wound dressing for treating open pneumothorax and preventing tension pneumothorax that result from gunshots, stabwounds, or other penetrating chest trauma. This unique dressing manages open chest injuries or other injuries that compromise the pleural space of the chest cavity. First Responders can treat an open pneumothorax and/or re-inflate a collapsed lung without invasive procedures. Quick and easy to use, just peel the adhesive from the seal and apply seal to wound. Sterile. 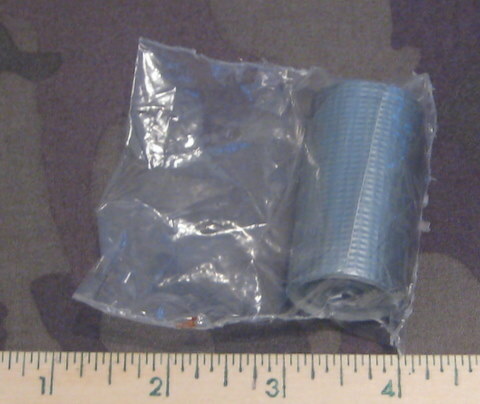 Silver Cinch Bandage and Silver Big Cinch Bandage combines our successful compression bandages with a silver mesh on the pad to create an antimicrobial barrier for treating severe wounds. 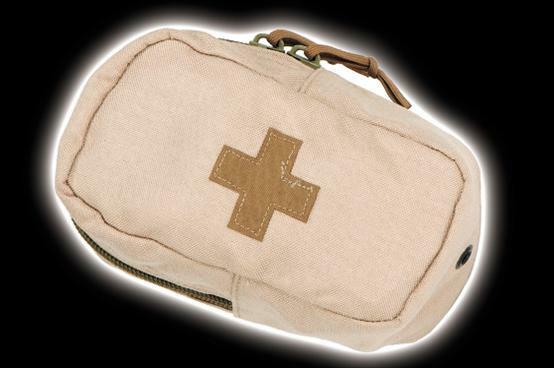 The Mojo 614 Evacuation Medical Kit contains all the supplies a medic requires to treat a critical casualty. Airway, breathing and hemorrhage control treatments, a compact traction splint, drug box and hypothermia bag. The medical supplies are retained in tear-out modules that allow the medic to configure the interior as needed. This kit also contains the Foxtrot Litter which is compact when stored yet, when deployed, provides exceptional control during evacuation of the casualty. The litter comes in its own carry case with a shoulder strap so that it may be carried and deployed independent of the 614. With the Foxtrot removed, the 614 has plenty of interior space for a small oxygen bottle, additional medical supplies or tactical gear. The Mojo 001 vacuum sealed kit is the result of mission- specific operator requests to provide a reliable blowout kit for self-aid or buddy-aid in any tactical environment. The Mojo Blowout Kits are contained in clear bags with their content lists visible and expiration dates are marked by the first item to expire. When your requirement calls for the maximum capabilities in the minimum space, request the Mojo 001 vacuum sealed kit.). The Mojo 002 Military Blowout Kit is the result of a request from Elite Operators who required a Blowout Kit capable of surviving any environment. This kits effectiveness is a combination of its carefully thought out contents and its pouch that features two separate mounting capabilities. The Mojo Military Battlepack Pouch was designed in conjunction with the 002 Military Blowout Kit to provide dual-mounting capability (belt and MOLLE) in a minimum size pouch. This pouch features a pull-wire release system that keeps the Mojo Blowout Kit secured until needed. The Individual Casualty Treatment Kit gives every Operator the ability to perform life-saving aid prior to the arrival of advanced medical care. This kit includes the required supplies to treat the three leading causes of death on the battlefield - airway, breathing and lifethreatening hemorrhage. The Individual Casualty Treatment Kit gives every Operator the ability to perform life-saving aid prior to the arrival of advanced medical care. This kit includes the required supplies to treat the three leading causes of death on the battlefield - airway, breathing and lifethreatening hemorrhage. The pouch is designed to be attached directly on a gun-belt or to the MOLLE system so that it is guaranteed to be in reach when it's needed most. The Mojo 132 Individual Treatment Kit provides every Operator the ability to perform self aid and buddy aid at the point of injury. This kit includes the required supplies to treat airway, breathing and life-threatening hemorrhage injuries. The bag is designed to wear on a MOLLE platform, a gun belt or drop down leg configuration. It has an easy access trauma shears pocket and the bag folds down for organized access to medical supplies. 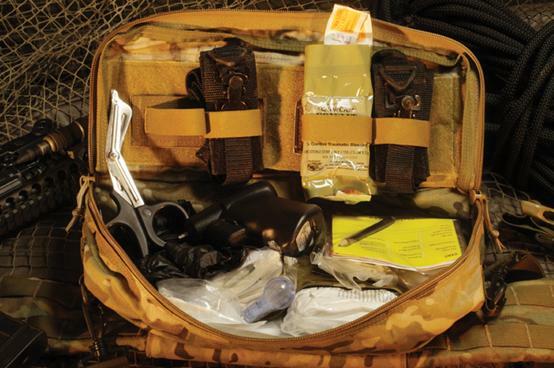 This Kit is especially suited for any purchasing agent charged with outfitting multiple personnel due to its varied carry options. The Mojo 214 Team Medical Kit provides the 3 to 4 operator element the ability to perform medical aid in a tactical situation. This kit may be used alone or in conjunction with a team's Individual Medical Kits. It includes all the required supplies to treat airway, breathing and life-threatening hemorrhage injuries. 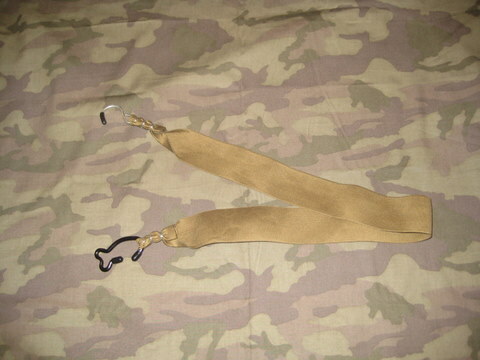 The pouch is uniquely designed to wear on the back of a tactical vest or gun belt. It has a "pull away pillow" wire release system which allows it to be removed from the mounting platform and deployed for casualty care. The Mojo 210 Team Medical Kit without any items. The Mojo 314 Squad Bag provides the 6 to 9 man squad with the ability to perform more complete buddy aid. The kit includes the required medical supplies to treat life threatening injuries and will generally provide for 1-2 seriously wounded casualties. The Mojo 324 CLS Bag was designed to bridge the gap between first aid and advanced trauma aid. It incorporates features that allow the non-medic soldier or Tactical First Responder (TFR) rapid access to critical lifesaving supplies while performing trauma aid prior to advanced medical care arrival. It has a Sling Strap for wearing over the shoulder and a wide waist strap for comfortable wear either as a lower backpack or side/front medical bag. The CLS Kit has a full-opening top zipper panel allowing the care provider to view bag contents while performing resuscitative care and comes standard with the pre-approved military packing list of medical supplies to manage multiple casualties and treat life threatening hemorrhage. The main compartment features Multi-Loop retainers for user configurability. Like all Mojo Medical Kits, this bag is Berry Amendment compliant and meets Trade Agreement requirements. The Mojo 415 Medic Pack gives a tactical care provider the supplies to perform definitive medical care for 2 to 3 seriously wounded casualties. It contains the required equipment for advanced airway, breathing, and hemorrhage control treatments with the addition of a compact traction splint, drug box and hypothermia bag. The pack itself is a low-profile design for vehicle use and urban operations. It is infinitely configurable, utilizing two inside panels with Multi-LoopT retainers. One of the panels is also removable and/or reversible. Additionally, the airway pocket and dual bleeder care pockets are removable. The difference between the Mojo line of medic packs and all others is the end-user configurability provided by the Multi-Loop and Multi-Pocket systems. The extremely versatile Mojo 432 provides the medic or operator with the capability to render immediate care of a critical casualty and rapidly access ammunition to return fire in hostile environments. The Multi-Loop interior allows each medic/operator to configure the inside of the kit to their mission and supply requirements. The fully gusseted side panels ensure equipment retention in all situations. The Mojo 432 can be used as a stand-alone medical pack or, when used in conjunction with other Mojo Kits, as part of a more robust medical response system. The Mojo 446 was specifically designed to bridge the gap between existing "team bags" and "tactical bags". No longer does a Care Provider have to choose between robust care capabilities and tactical movement requirements. With the 446, medics can carry all the necessary medical supplies to provide prolonged care/assessment/sick call needs in the Main Bag and still detach the smaller Assault Bag for trauma needs. ASSAULT BAG: The low silhouette assault bag zips off the Main Bag and is meant to carry trauma care supplies for tactical operations. It holds a compliment of airway, breathing and hemorrhage control supplies while also having a very low profile on the providers back. It contains clear pouches and assorted Multi-Loop retainers. The interior has 595 cu/in of space. MAIN BAG: The main or "coverage" bag provides for sustainment of casualties for extended periods and can also be loaded out with assessment/sick call supplies. It has multiple "pull outs" allowing for maximum organization and rapid treatments and has space for additional supplies, IV fluids and medical hard items. An internal back pocket holds splints, C-collars and a hydration bladder. The interior is approximately 1795 cu/in. The Main Bag has a removable padded waist belt and padded shoulder straps. This bag also features a zippered drop down bottom pouch which, when deployed, provides an additional 850 cu/in of on-call storage space. The Mojo 495 is an extremely low profile multi-mission medical bag designed for medics who need to operate in close quarter and vehicle environments. Like other Mojo bags, the interior is user configurable so the bag fits you and your equipment and not the other way around. Inside are 4 large moveable and removable procedure pockets. Each pocket has a clear front for identification of contents and a generous Velcro closure flap. Also included, are several small & medium size Mojo Multi-Loop's for organized storage of all your immediate medical supplies. These loops, like the pockets, are user configurable dependent on the equipment and mission. The Mojo 495 comes with 3 large external removable equipment pockets to hold surge operational equipment or extra medical supplies. The bag also has an external access hydration pocket and a removable padded waist belt. The Post Assault Kit provides the necessary tools to treat and "package" multiple casualties for evacuation. It is simple enough for combat first responders and comprehensive enough for skilled medics to provide appropriate treatment. It is ideal to augment combat vehicles and rotary-wing aircraft. The bag interior features Multi-Loop retainers for user configurability and security of the contents. The mounting plate features long universal attachments for mounting in any aircraft, vehicle or watercraft. When needed, the bag tears away from the mounting plate and features carry handles and a shoulder strap for ease of carry. This kit has proven popular with units involved in vehicle operations as a post-IED response bag and also with medics on extended operations as a re-supply/mass casualty bag.